i've drooled over penny de los santos' food photography in magazines, probably for years, unknowingly. she only came on my radar when her awesome spicy radish salad recipe was featured in a design*sponge blog post. though she takes gorgeous photos of many subjects, she appears to be a foodie at heart. her food blog is stunning and based on this recipe, she's a killer cook too. her salad is perfect–even without my favourite french breakfast radishes. 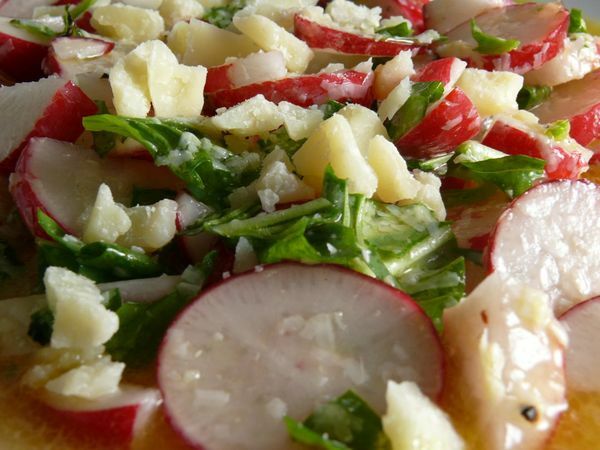 strangely, i have a radish, cheese and chili salad recipe of my own, but as you can see it's very different. i love mine in the summer when young, fresh spinach is everywhere. but penny's is perfect for winter when, well, i use hibernation-themed excuses to eat a salad that's very much about oil and cheese. 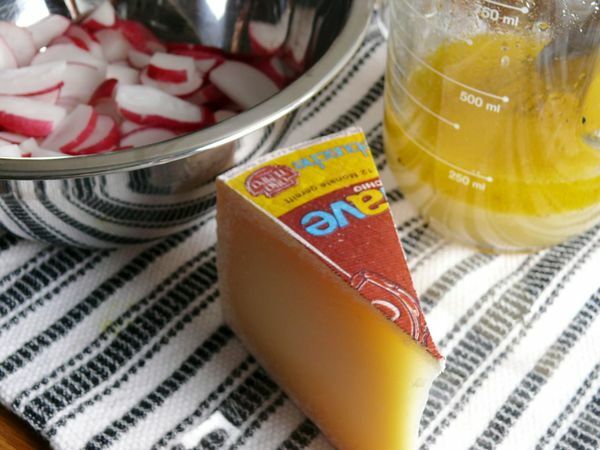 which means it's luscious and so satisfying, and if eating a bowl of radishes doesn't sound tempting, believe me when i say that if you combine them with penny's garlic chili oil and a healthy serving of piave cheese (love this cheese! ), you won't be able to stop eating them. I just found your blog and I love it! All your recipes and pictures are amazing! thanks, erin! just checked out the blog in your email address–its awesome too!